Welcome to Let It Fly Golf & Sports! My goal is simple: to help you become the best golfer possible. Golf doesn't need to be as complicated as many say it's become. I understand there are constant small adjustments which requires a deep understanding of tendencies and habits. Even the best of players need another set of eyes from time to time. I provide those open invaluable eyes through a broad range of teaching specialties including one-to-one teaching, group instruction, and video analysis - which means I am able to custom-tailor my golf teaching and instructing philosophy for each of my clients. Each lesson is followed up with a lesson plan that I will send to you in writing via the internet and your email. Each lesson plan includes photos and video, as well as the written lesson plan. 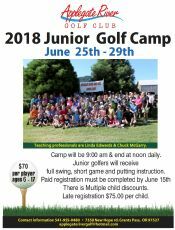 I am one of only a few professionally certified (USGTF) female golf instructors and golf coaches in Southern Oregon - where I mainly serve the golf communities in Grants Pass, Medford, Rogue River, Gold Hill, Talent, Phoenix, Williams, Cave Junction. If you're looking for a female golf pro in Grants Pass then you've found one! 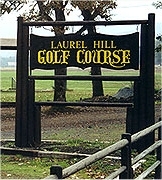 I teach year-round on several local golf courses in the Grants Pass and Southern Oregon area including Laurel Hill Golf Course and Applegate River Golf Course. As an instructor, my desire to help you achieve your goals in the game of golf is equal to your desire to learn the game. As important as it is to apply what we learn on the practice tee, we must always remember that the game of golf is meant to be an enjoyable experience. So, let’s relax and have fun. I always keep in mind that my success as an instructor is not by measure of my playing ability, but a reflection of the improved playing ability of those I instruct, teach and coach. Thank you for this opportunity to share my passion for playing, promoting and teaching the game of golf. Thank you for considering me in assisting you with your golf game. As president of Let It Fly Golf!™, I promise to provide you with a better golf experience.